Every year, starting in early May, wedding bells begin to chime. They don’t stop chiming until winter makes everyone put on ridiculous puffy parkas. The United States wedding industry alone produces $55 billion in revenue, as reported by research company IBISWorld. Who earns all that money? Everyone from salespeople on Say Yes to the Dress to indie vendors featured by Rock and Roll Bride. Sure, kids these days may be getting hitched later, but they still want to tie the knot eventually. You can help them and make a decent buck at the same time. Do you have beautiful handwriting or a fine touch with Adobe Illustrator? Consider creating save-the-dates and invitations for couples-to-be. Take it a step further by hiring freelancers to put together premium design bundles. Dribbble is a great place to find artists in search of assignments. Take your cue from Farmgirl Flowers: create and deliver fresh bouquets to embellish venue decor—or trick out the wedding party themselves. You can source the flowers from wholesale markets. If you have a green thumb and want to stay low-volume, pick the prettiest blossoms from your own garden! After they receive a bunch of presents and hugs, the newly married couple will want to give their guests a token of thanks. Often this takes the form of a little bag of candy or a custom-printed pen (as if the world didn’t have enough random pens floating around). Innovate something less boring! Bring an awesome idea like Lego Stormtrooper cufflinksto the world of wedding favors. Brides and their ladies-in-waiting want to get prettied up before walking down the aisle. If you’ve watched Bridezilla, you know this. (Apparently brides want a lot of things, and they want them right now.) Can you contour like Kim K? Do you have a personal lipstick stash equivalent to Sephora? Team up with your friend who can still text with crazy-long acrylic nails. Together you’ll do bridal beauty to the nines. After the ceremony and the reception are over, newlyweds have to figure out how to share zillions of snapshots with the family and friends who couldn’t make it, includingfuture family and friends. Web-savvy couples want to keep their visual memories organized to revisit in the future. Help them put together a beautiful digital scrapbook. Do you have a camera? Are you any good with it? 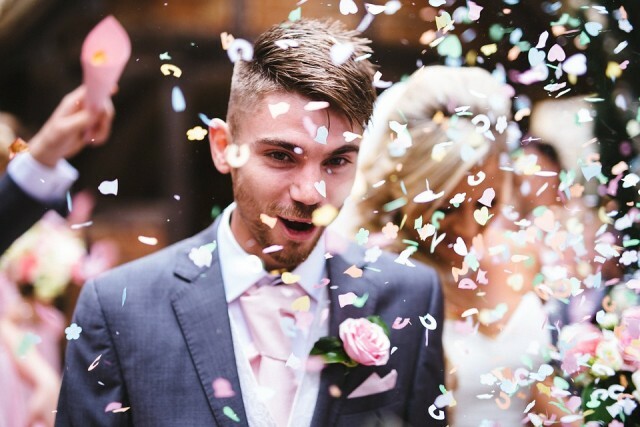 Start offering to snap wedding photos, for your friends and family and neighbors. If you haven’t done this before, do the first one free. Start with smaller weddings and work your way up. Search sites like Craigslist for upcoming weddings that need photographers. Wear comfortable shoes, but dress professionally. Bring a spare battery and spare SD cards. 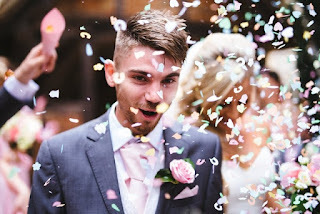 Look at wedding photos online from other companies (especially ones in your area). People that don’t want to pay you 50% beforehand. Make sure you have a contract, and find out what rates in your area are. Have a signed contract before you do any of the work. Don’t miss the shot. If you’re really new, make a quick check-list of shots you’ll need, no matter what. Do you like to cook? Are you good at it? You may make a great caterer. Know if you’re supposed to provide drinks. If so, this can get pricey. Keep it simple if you’ve never done this before. Wedding buffets are a cost-effective option and they’re easier to prepare. Rent, don’t buy. To save money at the start, there are many rental shops and kitchen supply shops that rent out equipment, food-warmers, plates. Are you a crafty baker whose friends are always saying that you should, “do this professionally?” Maybe you should make wedding cakes. If you’ve never done this before, start with friends and family (and friends and family of friends and family). You don’t have to make a multi-level cake. One solid round cake or sheet cake is fine if it’s well-done. TrustLeaf is a new funding service that helps self-started businesses and entrepreneurs get starter loans from friends and family, without straining their relationships. Because loaning money to friends and family for new ventures can be tough on relationships, TrustLeaf formalizes personal loan agreements, keeping money far away from affecting relationships, so entrepreneurs can get their business going and friends and family can feel more secure. Borrowers and Lenders Worry. TrustLeaf Can Help. Six million small business are started annually in the United States. 2.3 million of these small businesses are started with loans from friends and family. 65% of those who borrow from friends and family worry about how borrowing money will affect their relationships. TrustLeaf helps entrepreneurs get organized and present professional looking proposals to friends and family. TrustLeaf also offers help formalizing verbal loan agreements from people who’ve already lent money.